Projects change things. Some projects change a lot of things, and business transformation is a big, scary subject. How do you get from here to your vision of the future without it just being all about tasks and deliverables? How do you win people over to the new way of working? 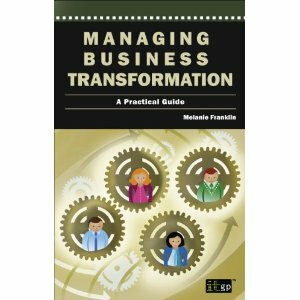 Melanie Franklin‘s new book, Managing Business Transformation: A Practical Guide, shows you how. All the management activities to successfully move from the current state the desired future state. Understanding and defining the scope of the change required, including planning and successful implementation of the change. Understanding the change: clarifying reasons for the change; motivating and persuading people to change; using PESTLE analysis and creating stories to ‘sell’ the change. Planning and preparation: identifying change activities and who is involved; creating a change plan and communicating it to the relevant people. Implementing: building a team; motivating people to act on the change. Embedding: moving to business as usual; supporting the change; addressing those who won’t change. Franklin acknowledges that this is not the case and considers that change management will not be effective with a one-size-fits-all approach. She believes that change is personal. “People are motivated to change because of how it affects their world rather than for corporate reasons,” she says. In order to tap into this and bring them along with you when delivering transformational change projects, you have to translate the reasons for change from business benefits to meaningful statements about how individuals will be affected. Planning and preparation is a large part of getting transformational change right. 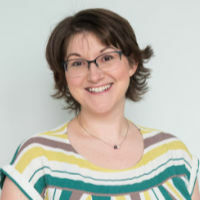 While Franklin says there is no universally accepted way of planning for change, she uses the common model of pre-transition, transition and post-transition as the three stages of change planning. She suggests that change comes first, then a project is put in place to do it. I’m of the hybrid approach that project teams can do both, although from past experience that does make it difficult to shut the project down. The book talks about the psychology of change and there is plenty of discussion about persuading, motivating, influencing and the giving and receiving of favours to increase compliance with change. It also talks about using social proof: showing videos or testimonials of people who have already made that change talking positively about their experiences and the benefits. For a project manager, the whole change management thing all seems rather fluffy. There is a lot of paperwork, from vision statements to communication matrices tracking support for messages, to a team charter. If you are a good communicator, you may also consider this a bit pointless, thinking you can (or are already) doing this stuff. However, on big projects which aim to transform the way businesses work, you can’t just do change management as an ad hoc or unstructured activity. This book includes a case study and worked examples, which go some way to showing the value of dealing with change management as a separate workstream on a project. Managing Business Transformation will give you a framework for change management for big initiatives. It’s not as useful for small projects, especially if you already have an approach for stakeholder management that works well, but if you need a refresher on how to deal with stakeholders who aren’t listening to you then it will give you good tips on getting your message across. find this web site on bing, just what I was looking for: D too saved to bookmarks.